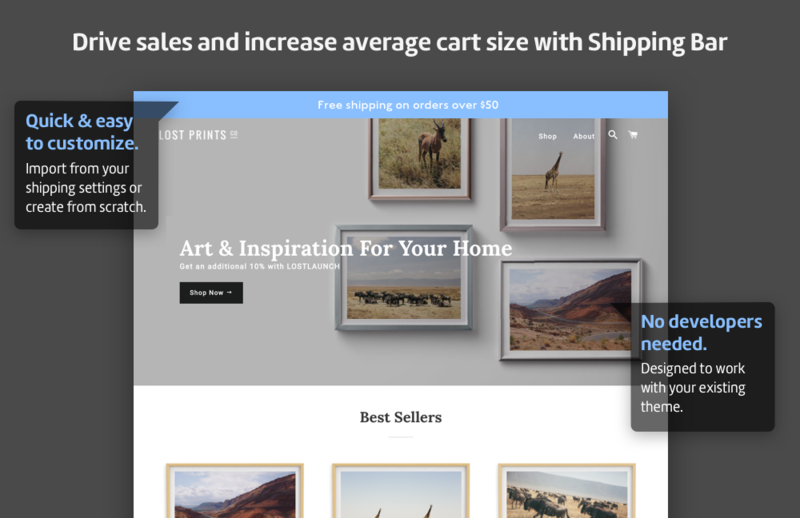 Shipping Bar is a Shopify app that will help you boost sales and increase average cart size by promoting free and flat-rate shipping to your customers. Want to promote a custom message? Sure thing. Our app lets you customize your messaging. 9 in 10 consumers indicate free shipping is the #1 incentive to spending more online and over half of online shoppers will add to more $$$ to their cart in order to qualify for free shipping. Check out our Demo Shop to see Shipping Bar in action. All of our apps include free support. Our support team is ready to help you get up and running and our developers are waiting to incorporate your feedback into the app.